NEW! 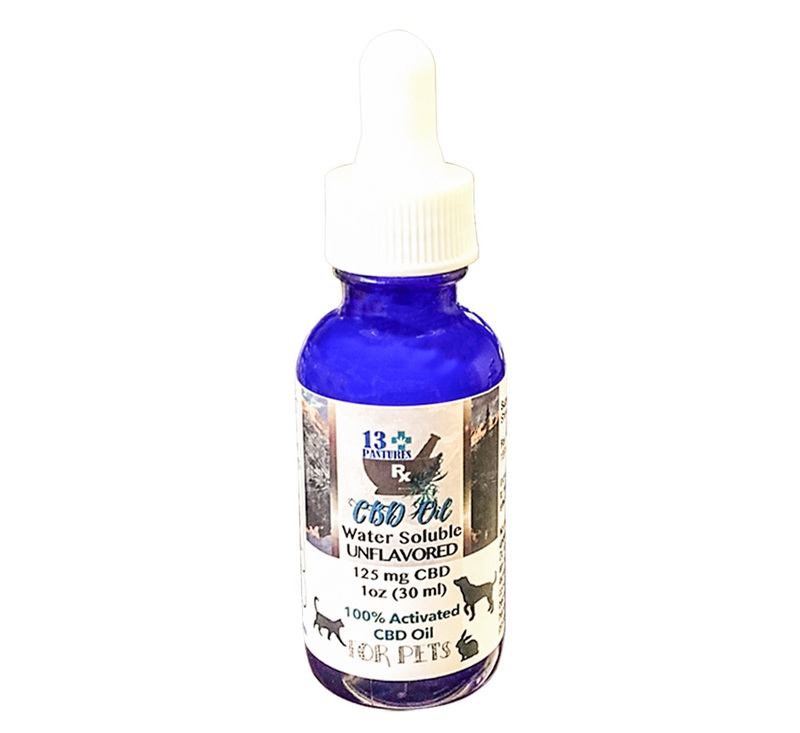 The highest CBD tincture at the best price for pets! 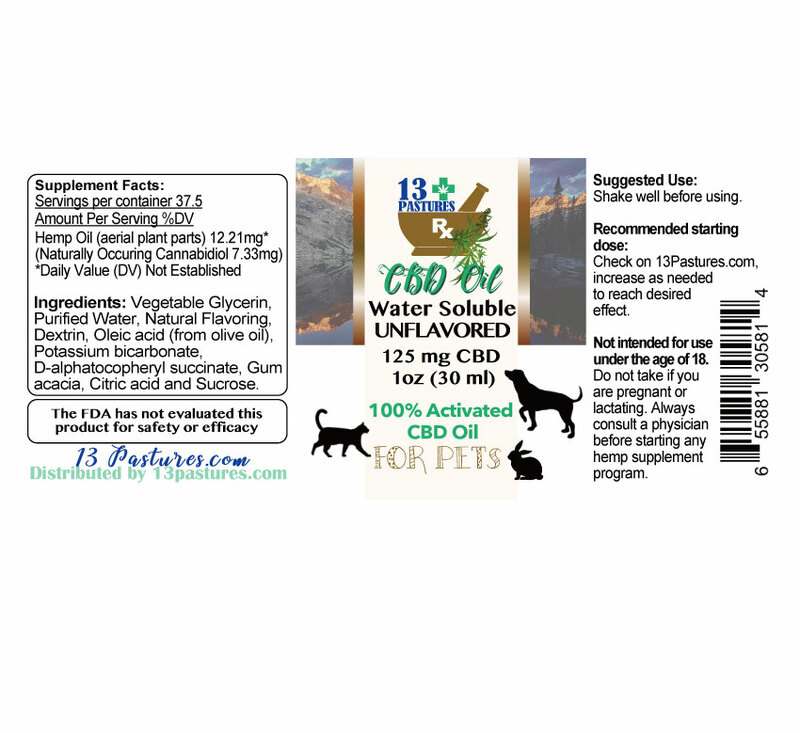 This 13 Pastures CBD oil tincture is made with water soluble CBD for maximum absorption and bio-availability. Unlike other tinctures this “Unflavored” has a natural, earthy taste and is easily taken on a daily basis. All our CBD oil tinctures are gluten-free. Truly a revolutionary step in CBD, these tinctures provide maximum bio-availablity. 13 Pastures takes it to the next level with this amazing product! NEW: Every batch of 13 Pastures CBD oil products are now individually tested. Bring the healing benefits of cannabidiol (CBD) to those suffering from pain, anxiety, and depression without the use of opiates. As a company, seek new and better ways to lower the costs of producing cannabidiol without sacrificing quality, so those who want cannabidiol (CBD) can afford to buy cannabidiol (CBD). I understand the statements regarding these products have not been evaluated by the Food and Drug Administration. This product is not intended to treat, cure, or prevent and disease. Do not use if pregnant, nursing or have a serious medical condition. Please always consult a Doctor’s advice before using this or any supplemental dietary product.